In honour of Mickey Mouse’s 90th anniversary, Samsonite and American Tourister are contributing in the global Mickey the True Original campaign this year, which celebrates Mickey’s heritage as a prominent icon in pop-culture. Walt Disney unveiled what would become one of the most familiar global icons and true originals of the century, Mickey Mouse, on November 18, 1928 and since then, Mickey has certainly left his mark. 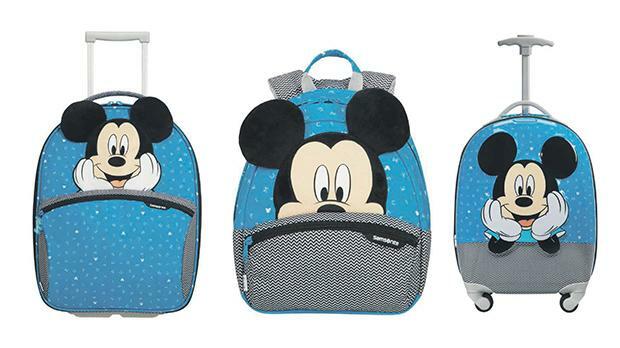 To commemorate 90 years of Mickey Mouse, Samsonite introduced a new Disney Ultimate 2.0 Mickey Letters collection for infants. 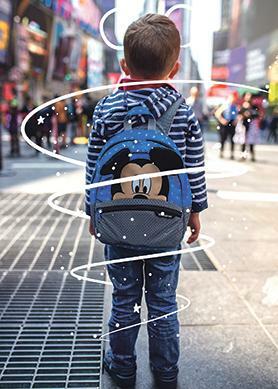 The playful letter print and soft felt ears, reflective details, S-shaped shoulder straps and sternum straps on all backpacks make Mickey the perfect travel companion. Mickey enthusiasts are not only infants but also teenagers, as they have also shown their adoration towards Disney over the years. American Tourister made sure to create a modern appeal towards the iconic Disney character that is perfect for a teen Disney fan to own, by introducing the Wavebreaker Disney collections.